This new series is geared towards teaching the novice how to ‘do’ everything from basic electronics to building a robot. We will begin with basic circuits, then move through circuit bending and soldering, while learning some basic code with the Arduino. We will explore alternative energies along the way, culminating in the creation of wheeled robots. Arduino is an open-source physical computing platform and a development environment for writing Arduino software. It is used to create interactive objects, from controlling lights and sound to motors and sensors. This workshop introduces the basics of physical computing, from installing the development environment to creating a circuit and programming LED (light emitting diodes) to flash on and off through code. Students have the opportunity to set up a circuit board from scratch and experiment with circuitry, as well as manipulate the instructional code and even create their own. 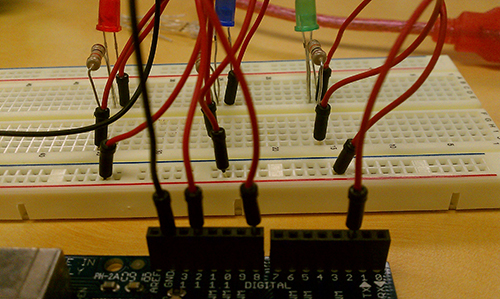 Learn how to solder while making a remote control that turns almost any television on and off. We will spend time learning the basics of how to solder (and how to fix it when you mess up). Put your newfound soldering and circuit making skills to use while we explore the possibilities of using solar power to recharge (via usb) your cell phone. Take things to the next level as we design and build our own wind turbine battery rechargers for your small electronics. No experience is necessary, however since each workshop will be building on the previous ones, attendance at the earlier ones will provide a foundation for the later ones.